As we wait in hopeful anticipation for an increase in monarch butterfly populations, we can prepare for their arrival by planting native species that provide food and habitat for these beautiful creatures. 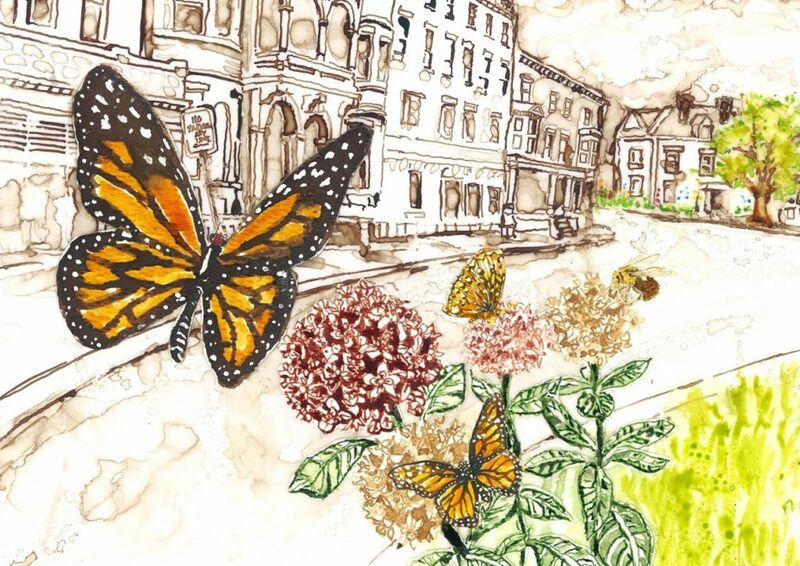 Maine is at the northern edge of the monarchs’ migration from Mexico, and when the butterflies arrive in early summer they will be looking for milkweed plants on which to lay their eggs. Monarchs have a coevolutionary relationship with plants in the milkweed family and are completely dependent on them for reproduction. Butterflies are the reproductive phase of their lifecycle. They lay their eggs on the undersides of milkweed leaves because when the eggs hatch and the caterpillars emerge, their only source of food is the foliage of milkweed plants. The growing caterpillars feed on the leaves until they are ready to form a chrysalis’ and metamorphose into adult butterflies. 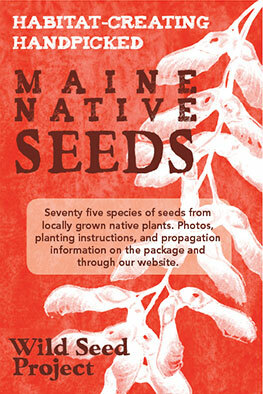 Maine has four native species of milkweed that host the monarch butterfly through its lifecycle. Below are descriptions of these native milkweeds. If you choose at least one species to plant in your yard, you will be providing food and habitat for the monarchs. Remember the more plants you have, the more monarchs you can host. Along with nectar from milkweed flowers, the butterflies also forage from a wide variety of summer and fall blooming wildflowers. These additional species are important to include in our landscapes because by September, all the native milkweed flowers have finished blooming. 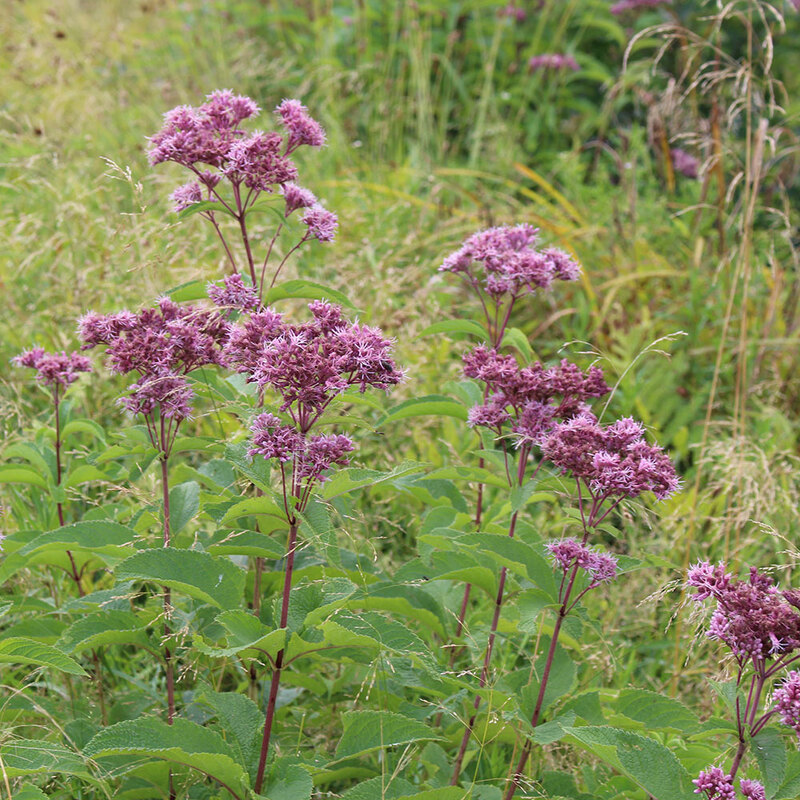 Adding these other natives offers a diversity of nectar sources to fuel the monarchs southerly migration and will also feed a wide variety of other pollinating insects. I have listed these species at the bottom so that you may include some of them in your monarch garden. 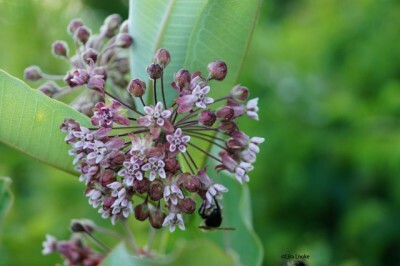 Each type of milkweed grows in a different habitat, which offers a variety of options for planting them in your garden, meadow, park or roadside edge. For urbanites with no land, they are very adaptable to growing in pots (see Balcony Gardens blog for more ideas on this). Common Milkweed Asclepias syriaca: This is the milkweed most often encountered growing in meadows, pastureland, and by the side of the road. 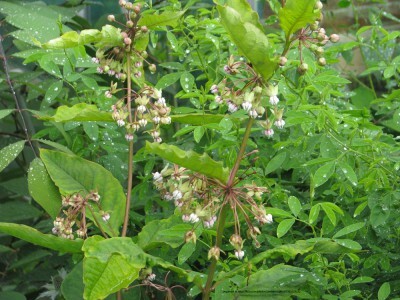 The plant is very distinctive with large gray-green leaves growing on 2’ vertical stems. 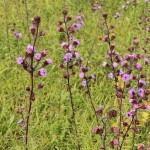 The plants wait until the soil has warmed before emerging from the ground; in early summer they are easy to spot because of their large leaves and distinctive color. 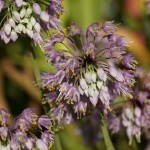 In July, when they bloom, the globe-shaped flowers range in color from white to dark pink and attract a wide variety of pollinating insects, including bumblebees and other species of butterflies. 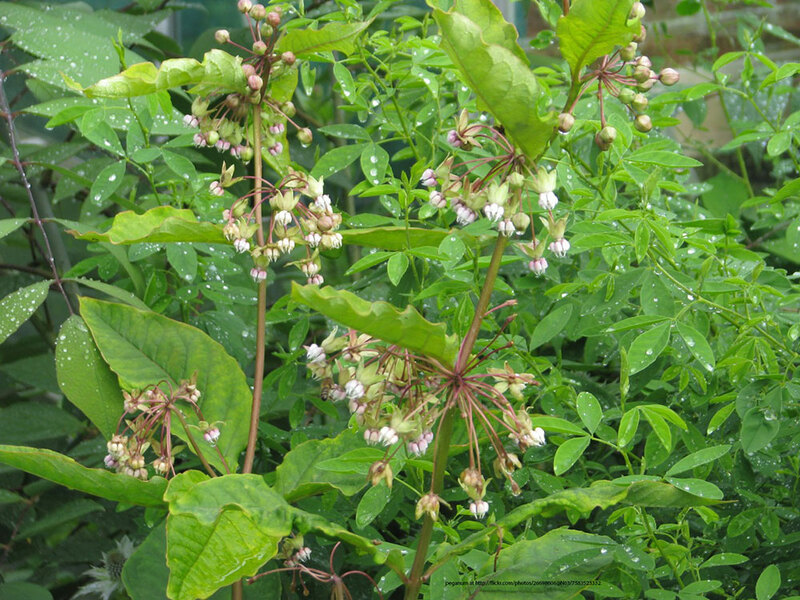 This plant spreads by underground rhizomes, making it invasive in gardens. 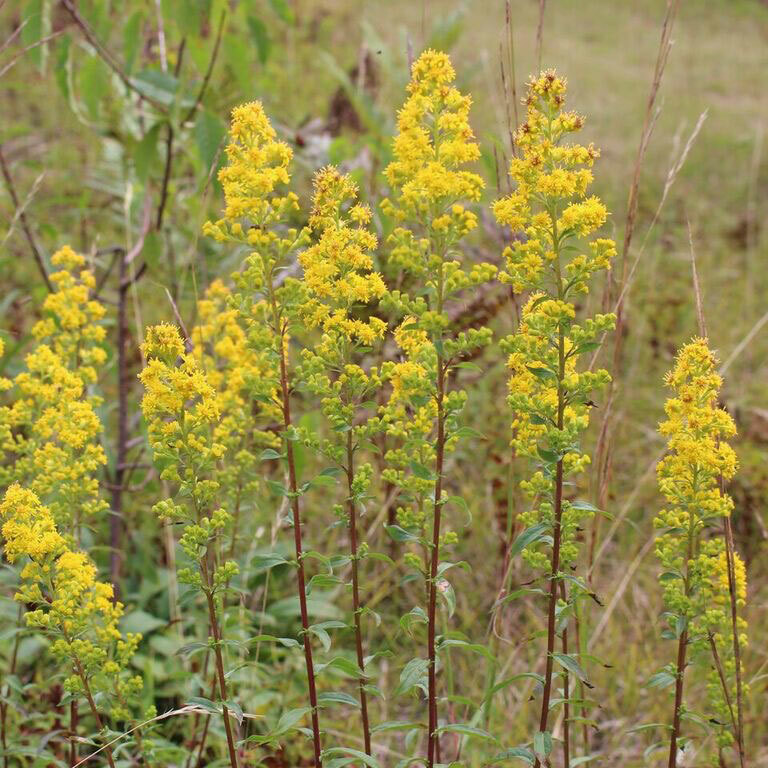 Therefore, it is best suited for naturalizing in meadows, roadsides, and on the sunny side of woodland edges in soils of average moisture. A big pot with multiple stems makes a dramatic display by a doorway. Swamp (or Rose) Milkweed Asclepias incarnata: In the wild, this wetland wildflower can be found in moist meadows, ditches, and pond edges in sun to partial shade. 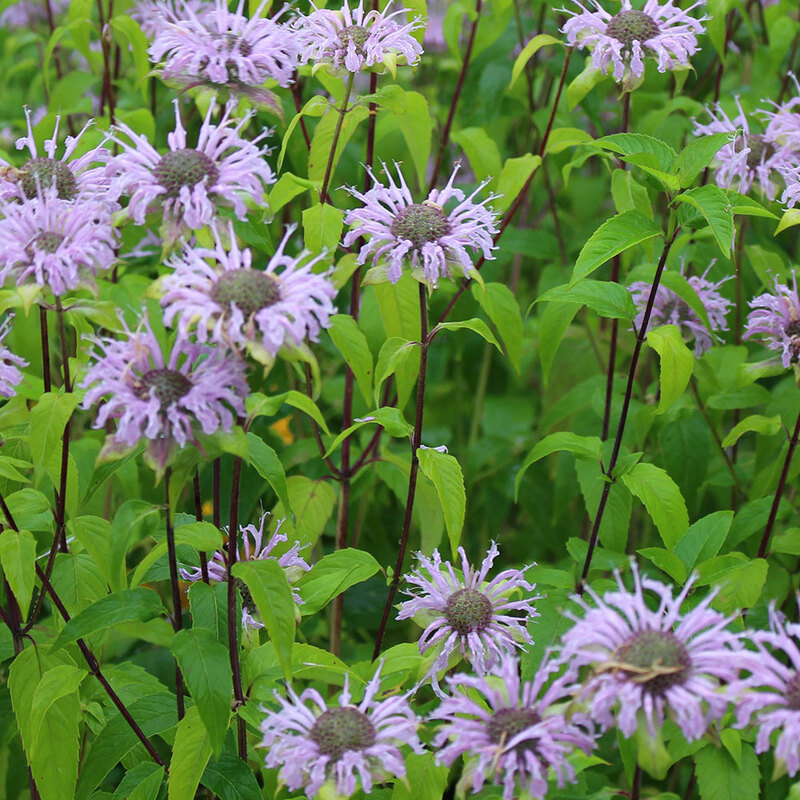 A mature clump is 3-4’ tall and covered with pink flower clusters in July and early August. The flowers are always covered with many species of butterflies and bees, making them an entertaining plant in the garden. 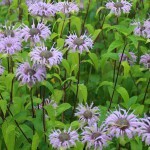 This plant is excellent in a formal perennial boarder, rain garden, or in a more naturalistic wet meadow. 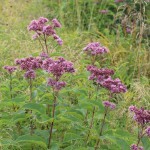 It is very adaptable to a range of soils from wet to moderately dry, and can be grown in a large pot. Butterfly Milkweed Asclepias tuberosa: A very showy wildflower of sunny dry pine barrens, sandy meadows, and roadsides. This species was never common in Maine but is now considered extinct in the wild. It is a low, clumping species 12-18” tall with attractive green foliage with bright orange flower clusters. 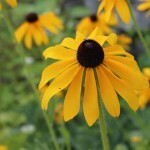 The flowers bloom in July and are visited by many species of pollinating insects. 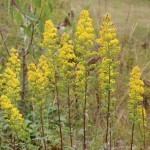 This plant must have sunny, dry, well-drained soil to thrive. Excellent in a dry garden, or naturalized in a sandy meadow, or center stage in a pot. Poke Milkweed Asclepias exaltata: A less dramatic milkweed of woodland edge and roadsides that looks a bit like the common milkweed. 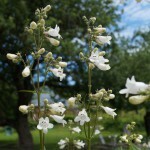 Clump forming, with thin, 4’ stalks of white to pale green drooping flowers. 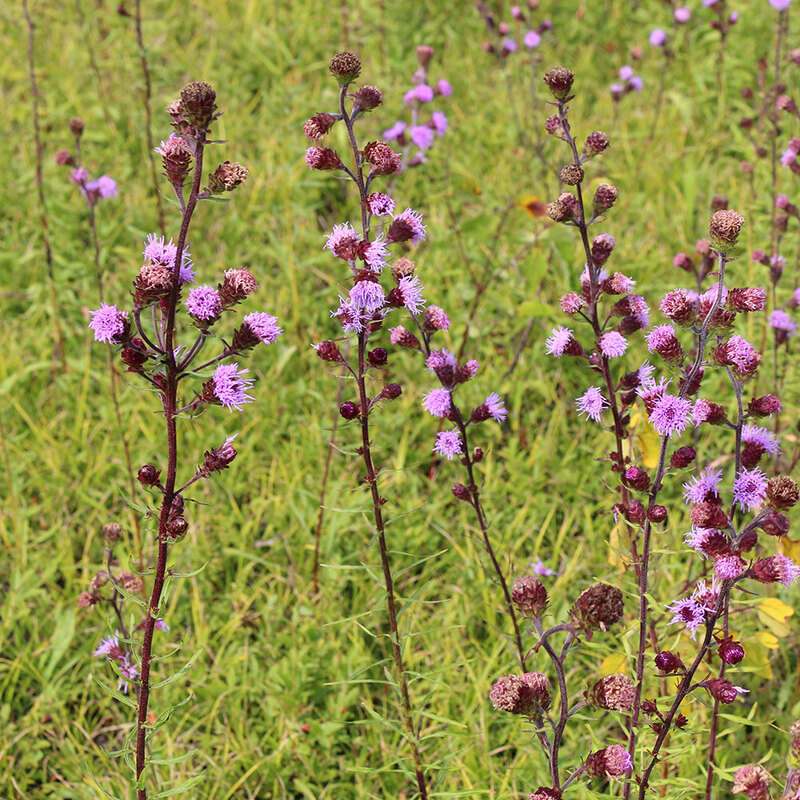 This is the first species in Maine to bloom in the summer, usually early July. 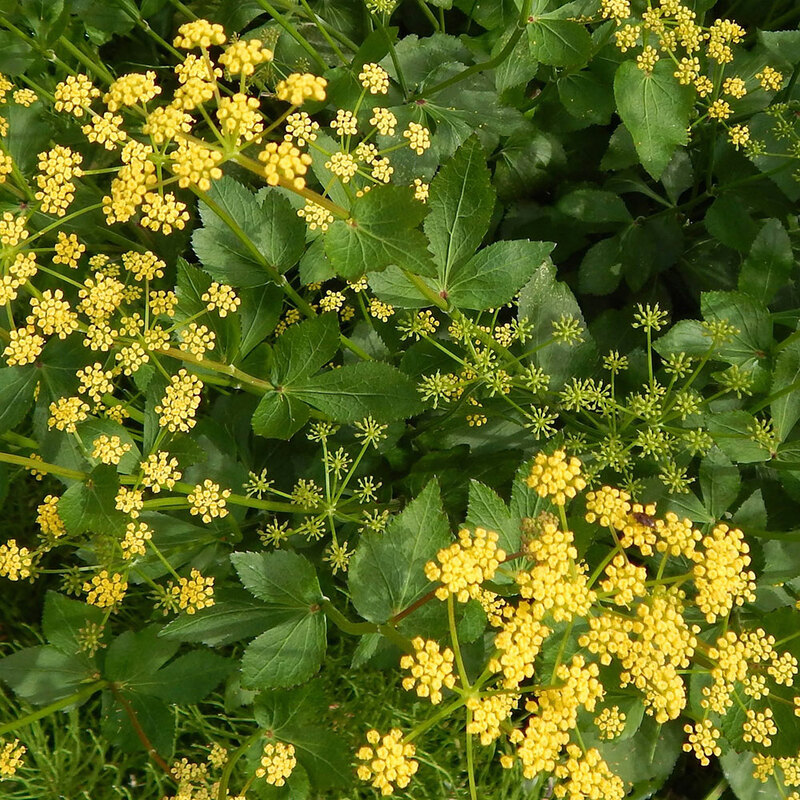 A fun and interesting native, with a wilder, less-tidy habit. All of these species are easy to grow from seed. 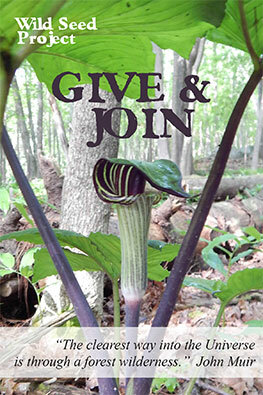 Wild Seed Project features Common, Swamp, and Butterfly milkweeds as part of our annual seed sale. Growing milkweed from seed is an inexpensive way to produce a lot of plants to support more monarchs in your landscape. Plant some seeds outside in a large pot and let them grow all summer together as juveniles. 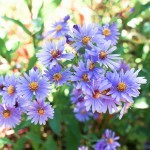 In September they can be separated into smaller clumps and repotted or shared with others. Alternatively, seeds can be started indoors in plug trays and transplanted to the garden in mid to late spring. 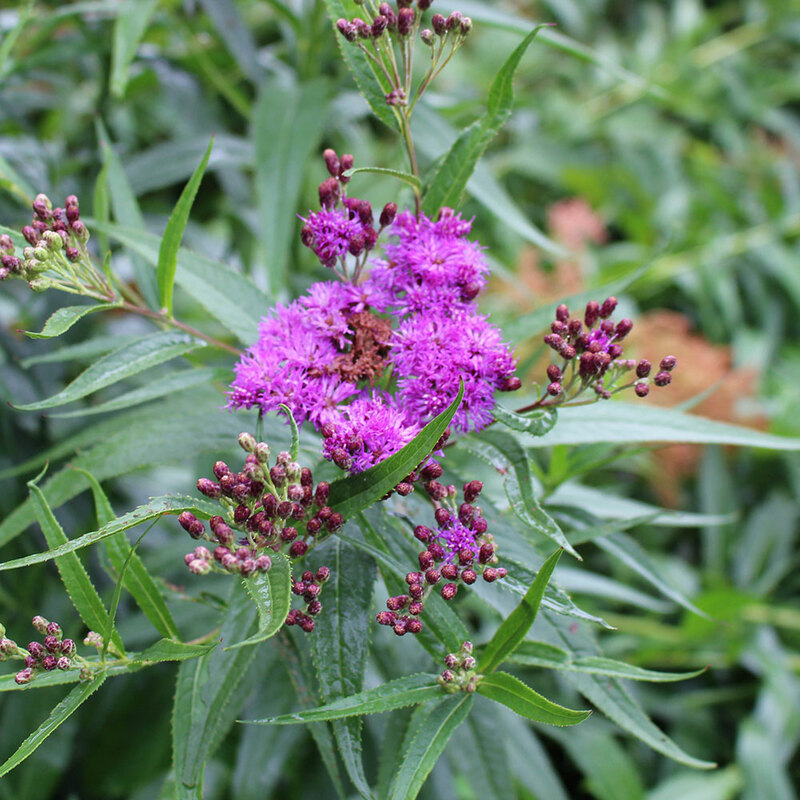 First-year plants will not bloom until the second summer, but the young foliage will still provide food and egg-laying sites for the monarchs. 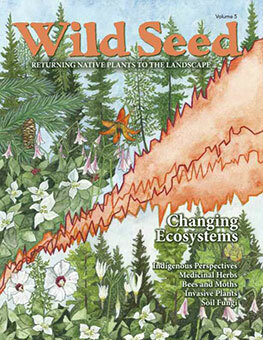 You can also broadcast milkweed seed in a prepared bed or in an existing meadow. Just remember that you will need to have a large quantity of seed. In nature less than 5% of the seeds that are dispersed germinate and grow to adulthood. 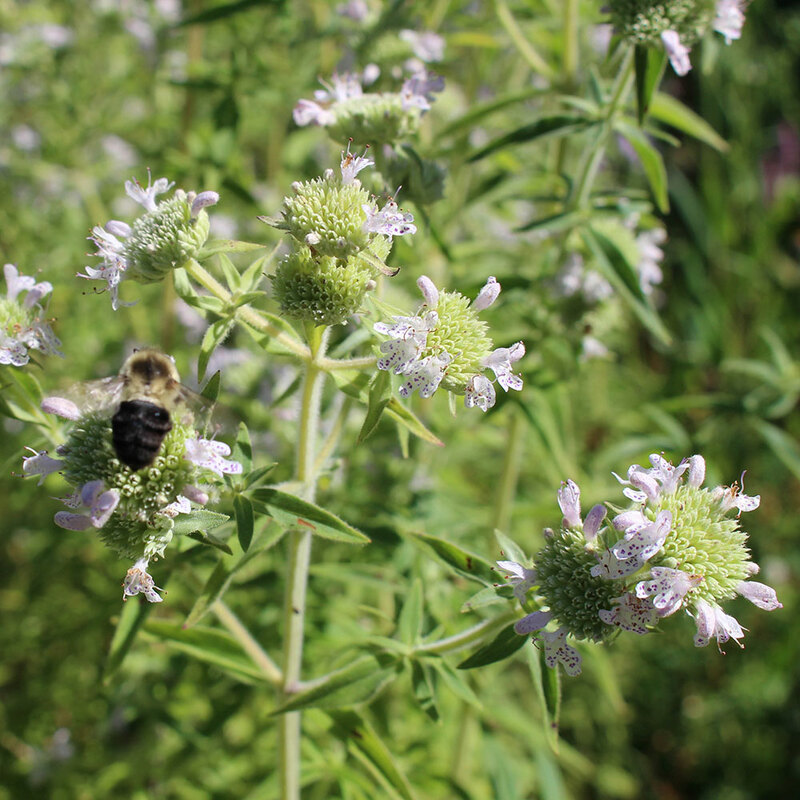 The Xeres Society and Monarchwatch (listed below) can connect you with larger quantities of seed than we offer at Wild Seed Project. If you prefer to begin with an established plant, Butterfly milkweed and Swamp milkweed are widely available in the nursery trade. 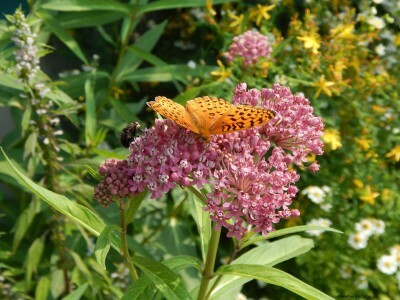 The Common and Poke milkweed are available from some native nurseries. 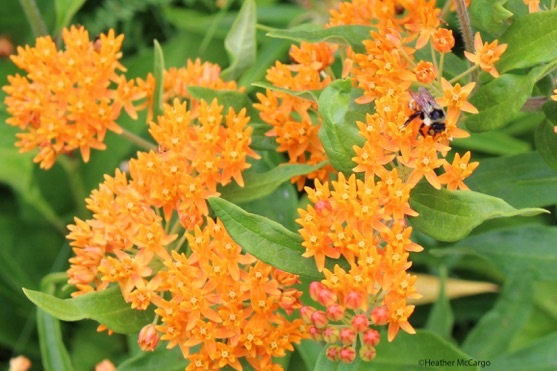 There is a non-native relative of milkweed that you are likely to encounter in Maine landscapes and gardens, a tropical annual called Butterfly flower Asclepias curassavica. 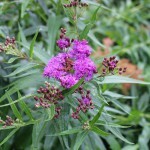 This easy-to-grow species has been widely available in the nursery trade and is even sometimes mislabeled as being the native Butterfly milkweed. 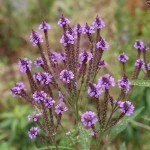 There has been some research suggesting this plant mixes up a monarch’s natural instinct to migrate because it flowers continuously (see http://www.sciencemag.org/news/2015/01/plan-save-monarch-butterflies-backfires). I do not recommend planting this species.